Belfast’s Martin Lindsay has warned Lee Selby he will lose his British and Commonwealth featherweight titles when the pair go head to head in front of a passionate Odyssey Arena crowd on the Betfair ‘Judgement Day’ bill, live on Sky Sports on September 22. Selby won the belts from Liverpool’s Stephen Smith last September and has since mounted successful defences against John Simpson and Patrick Okine. 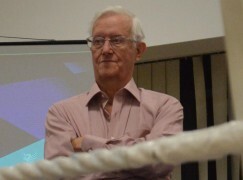 Lindsay has previously held the British title but lost his crown by unanimous decision to John Simpson in December 2010 and is hoping his hometown crowd can help him regain the belt and claim the Commonwealth title too. “Belfast is always a brilliant venue for any boxing night because the public come out and support you and they do cheer you on,” he said. “I have never boxed in the Odyssey before but I was in Eamonn O’Kane’s corner with my coach when he fought there on the undercard of Paul McCloskey and Breidis Prescott. The atmosphere was brilliant that night and I am sure it will be again with Carl Frampton, McCloskey, O’Kane and me all on the same bill. It should be a brilliant night. 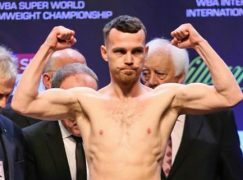 “I have a big following who come out and support me, and all the Belfast public know, on paper, this should be a brilliant fight and they will be cheering me on and I will use that; I will use everything I can to win on the night.” Lindsay’s double title shot forms part of a stacked undercard for Frampton’s Betfair ‘Judgement Day’ defence of his IBF Inter-Continental and Commonwealth super bantamweight titles against Steve Molitor. Welshman Selby said in a recent interview that he planned on using the bout to “prepare for bigger fights”. However, Lindsay has responded by warning Selby that he is about to lose his titles. “He obviously has his own plans and says what he wants to say but I am going to train hard and I am going to come out with the belts on the 22nd,” insisted the Belfast man. “If he is using me as a platform to get on to bigger fights then I can say the same thing and use him as a platform to get on to bigger fights. But I don’t for one second think it is going to be easy. I know he is a top boxer and it is going to be a hard night’s work but I know myself I have the skills and the tools to win the fight. “I am extremely confident of winning those titles. I have watched him and I know if I perform to my best I can come out with the belts. “I have watched all of his fights and I know he is a top fighter. 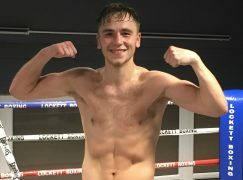 He hasn’t got to where he is through luck, he has knocked out Stephen Smith and John Simpson who are two good fighters, so he holds the titles on merit and I need to make sure I am at my best on the night in order to take those belts.” Tickets are on sale from the Odyssey Arena box office on 028 9073 9074 and atwww.odysseyarena.com – tickets are priced at £30, £40, £60 and £100. 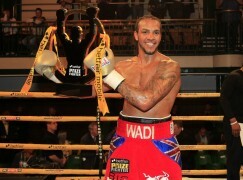 Ringside VIPs tickets priced at £150 are exclusively available from Matchroom Sport on 01277 359900 and at www.matchroomboxing.com.